It is that time of year again – when I make a fool out of myself by guessing who will end up as the 2016 MVPs, Cy Young Winners, Manager and Rookie of the Year winners, and name some sleepers. Last season, I boldly guessed that Mike Redmond would win the NL Manager of the Year award…but he was fired on May 19 after starting 16-22. So much for that. I did have some decent predictions, like Nolan Arenado breaking out and…well, that’s about it. It wasn’t a great year for inferences for me. Who will be better? Kluber or Carrasco? It’s an even year…bet on the Giants! This HAS to be the year for Toronto. Why? Because both Jose Bautista and Edwin Encarnacion are free agents after the 2016 season, and early negotiations didn’t appear to go well, with rumors of “Joey Bats” wanting $30 million per year in his age 35 to age 40 seasons. Ask Nelson Cruz about being an aging slugger in the open market- how’d that go for him when he *settled* for a one-year deal for $8 million following the 2013 season? Still, Gibbons has a lot of talent to work with right now. With reigning AL MVP Josh Donaldson, a full season (maybe – pending health) from Troy Tulowitzki, and the two mashing free-agents-to-be, the Jays will have the power and offense to outscore anyone, which is just what they’ll have to do with their patchwork pitching staff. Gibbons will work some magic there, however, and lead Toronto back to the ALCS and an eventual World Series appearance. Dave Stewart and Company have done some really wacky things since taking control of the Arizona front office; however, they have a really interesting team, quietly building around superstar Paul Goldschmidt with pieces and parts that could be All-Star caliber producers. After signing Zack Greinke and acquiring Shelby Miller, having Goldschmidt with A.J. Pollock and David Peralta provide punch in the lineup, along with a returning Patrick Corbin in the rotation, could lead to a sneaky breakout by the Snakes in a wide-open NL West. Hale, who has had success managing throughout the minors and led the Diamondbacks to a 16-game improvement from 2014 to 2015 in his first season. Arizona may miss the playoffs, but they’ll certainly be a thorn in the side of the league in 2016 thanks to talent and Hale’s management of the club. Machado – getting even better. Machado doesn’t turn 24 until July, but it seems like he has been around for a while already. Most of that time, he has been compared to the great Alex Rodriguez, and he proved that comparison was legitimate last season. Machado improved his strikeout and walk rates dramatically last season, while his hard contact rate also jumped – which was behind his 35 home runs – a whopping 21 more than his previous career-high (2013) – while he also stole 20 bases! More of the same should be expected, as Machado continues to fill out his body and fill up box scores. He’ll lead Baltimore to the postseason in 2016, with a bat that is as valuable as his glove, making him one of the most dominant players in the game. Harper won the NL MVP in 2015 after posting a 9.5 WAR in his age-22 season. 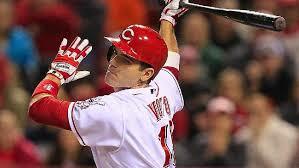 He put it all together, blasting 42 home runs and leading MLB with a 1.109 OPS and 197 wRC+. He’s going to be better in 2016. The only thing that would prevent that from happening would be an intensity that makes injury-risk a possibility for Harper on every play…or getting walked like Barry Bonds. The sky is still the limit for this young man, and he continue his ascension to greatness in 2016. After leading the AL in strikeouts and FIP on his way to setting career-bests in strikeout and walk rates, Sale could improve his overall numbers in 2016. The four-time All-Star will finally get the award that he has earned by posting a 2.95 ERA, 1.07 WHIP, and 10.3 K:9 over the last four seasons for Chicago. He’ll continue to look like he could be blown away due to his frame, while dominating the opposition on his way to his finest season yet. Perhaps he will even win this one for Drake LaRoche. Kershaw disappointed in 2015, seeing his ERA balloon to 2.13 on his way to a 3rd place finish for the NL Cy Young. That is, of course, sarcasm, as Kershaw led the league in complete games, shutouts, innings, strikeouts, and FIP. He will lead a depleted Dodgers rotation, taking on the innings that they won’t get from the other rotation members, as he continue being the Sandy Koufax of our generation. Enjoy it while it lasts! For purposes likely tied to free agency control, the Twins didn’t give Berrios a look at all in 2015, even though he could have been the club’s best starting pitcher the moment that he joined the rotation. He has tremendous command of his stuff, and he continues to improve as he rises up through the system, which is an excellent sign for the pitching-starved Twins. The knock on Berrios is his height, but after watching Johnny Cueto, Yordano Ventura, Marcus Stroman, and Tim Lincecum (not as much recently) over the last several years, no one will be looking down on this young man when he can pitch the way that he can. Seager was the No.1 prospect on my prospect list this winter, after the 21-year-old followed up a roasting of the minors with 98 at-bat barrage on Major League pitching, posting a .337/.425/.561 triple-slash in his cup of coffee. He looks like the Dodgers’ Opening Day shortstop (pending injury news) and he could thrive in a lineup with so many other talented players around him. He could easily become one of the top two players offensively for this club immediately, especially with the questions surrounding Yasiel Puig after his down 2015 season. While he may not fit at shortstop for his entire career, Seager is capable of a 20/20 season at short in his first full season. Jeff Samardzija rebounds in AT&T Park and the spacious parks out west to become a top 20 starting pitcher. He strikes out over 200 and logs 200 innings, becoming a tremendous compliment to Madison Bumgarner in the San Francisco rotation. Buxton could be special…as early as this season! Byron Buxton steals 40 bases and shows glimpses of power, topping out at 15 home runs, while showcasing elite-level defense. The Twins finish in last place in the AL Central, but Buxton and Miguel Sano are All-Stars. Joey Votto walks 130 times. There is no reason to pitch to him with the rest of the Reds lineup as incapable of producing as an army of ants. Starlin Castro becomes an All-Star at second base for the New York Yankees, leading the American League in hits. The change of scenery was necessary and helped him find his groove. Corey Kluber and Carlos Carrasco become as dominant together as Kershaw and Greinke were in Los Angeles in 2015…with slightly higher ERAs. They win 35 or more games, log 450 or more innings, and strike out 470 or more batters combined. A Rule 5 pick worth high fiving about! Blash can BASH! Jabari Blash is the best Rule 5 pick since Johan Santana, as he becomes the Padres best position player in 2016. The Mariners weep as Nori Aoki starts 155 games in left with less than Blash-y production. Mike Trout finishes outside of the top 3 in AL MVP voting because his WAR declines due to Jared Weaver giving up 85 home runs in 115 innings, not allowing Trout to flash his glove, range, and UZR skills. 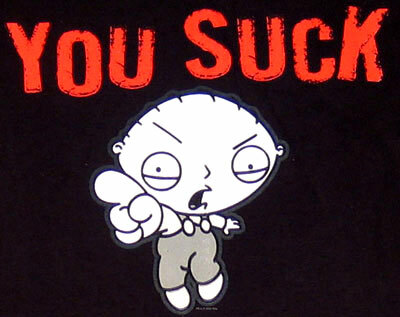 Billy Hamilton loses the center field job to Phillip Ervin in June. Ervin starts hitting how he did at Samford and soars through Double-A and Triple-A. Hamilton is recalled in September to be a pinch-runner, stealing 25 bases in one month and winning fantasy leagues for those who stashed him. Pablo Sandoval goes on a hunger strike until he is given the third base job over Travis Shaw. He is never seen again. The Red Sox eat his contract and release him, which is funny because he ate his own contract and couldn’t let go of food. Irony. Lorenzo Cain is a top 5 WAR position player due to his great defense and his continued breakout. 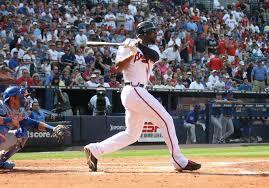 Cain finishes with 20 HR/30 SB and 100 runs scored. Patrick Corbin, LHP, Arizona Diamondbacks: This guy is two years removed from Tommy John surgery, and he is throwing harder than he ever did before. Keep in mind, he won 14 games, struck out 178, and had a 3.41 ERA over 208.1 innings in 2013, his last full season, before looking very good over 16 starts last season. Carlos Rodon, LHP, Chicago White Sox: Rodon will either look as dominant as Sale or look like he hasn’t been on a mound before in his life. The stuff is there to be elite, but it is so strong that he has to figure out how to harness it still. This is the year that he does. Gregory Polanco, OF, Pittsburgh Pirates: Polanco had a slight bump in ISO last year, but that slight bump should be a significant bump in his 2016 season. At the age of 24, Polanco will change some of those 35 doubles into home runs in 2016, as that long, lanky body begins to fill out. 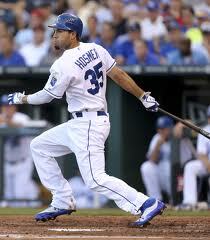 Look for 15 to 20 bombs in 2016 with a slight drop in his 27 steals – since he’ll be busier rounding the bases in a trot. Justin Verlander, RHP, Detroit Tigers: A six-time All-Star and one-time Cy Young winner isn’t typically a sleeper, but Verlander sort of returned to form in the second half of last season, posting a 2.80 ERA over 103 innings and 15 starts. While the 8.30 K:9 over those starts isn’t his elite level, it also was much higher than his down 2014. Over 20 starts, Verlander had a 3.38 ERA and 3.49 FIP, while he is still below the league average in HR/FB%. If you can get him late, Verlander is worth a look in fantasy. If you don’t play fantasy, his girlfriend is worth a look in your own fantasy. Ian Kennedy, RHP, Kansas City Royals: After finishing 9-15 with a 4.28 ERA while pitching half of his games in San Diego, it seemed rather shocking that the Royals would give up a draft pick and pay $70 million over five years for Kennedy; however, Dave Eiland has worked miracles before, and Kennedy looked a bit more like himself in the second half, when he posted a 10.5 K:9. He can’t do any worse than Cueto did after K.C. acquired him from the Reds in the middle of the 2015 season. Count on Eiland, Kennedy, and an impressive defense to get his numbers back to respectability. Eduardo Escobar, SS, Minnesota Twins: Danny Santana had the Twins shortstop job going into 2015 after a breakout 2014. Then, he lost the job and Escobar ran away with it, ripping 31 doubles and 12 home runs over 127 games and 446 at-bats. While he isn’t going to do a whole lot more than that (he doesn’t run), he could, in his age-27 season, see those numbers improve over a full season where he isn’t sharing the job. Jonathan Schoop, 2B, Baltimore Orioles: I’ve been a Schoop fan for about four and a half years now. He has power and he has absolutely no plate discipline, as evidenced by his career 203:23 K:BB over 817 plate appearances. But we are in an offense-starved era, and the Orioles have other players with similar profiles who have developed into solid producers (see Jones, Adam). Schoop had 32 extra-base hits (including 15 homers) in just 86 games and 321 plate appearances. 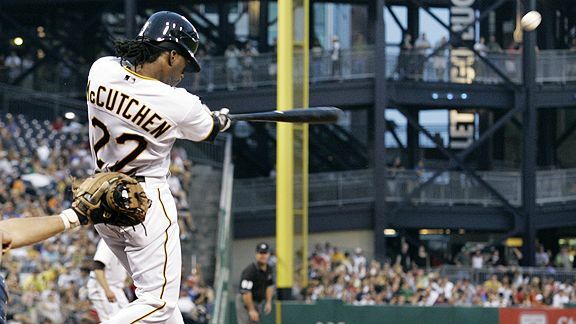 He’s capable of 25 home runs and 30 doubles…possibly even 15 walks…over 550 plate appearances. He turned 24 in October and is primed for further opportunities and a potential breakout. Trevor Story, SS, Colorado Rockies: Imagine a place with a high altitude where balls travel far. Now…imagine a shortstop who had 70 extra-base hits (20 HR) and 22 stolen bases between Double-A and Triple-A. That would be this 23-year-old, who, with Jose Reyes‘…ahem…issues, should be in line for plenty of playing time for the Rockies to start the season. He and Nolan Arenado could provide some pretty impressive numbers on the left side of the infield. Joe Ross, RHP, Washington Nationals: The younger brother of Padres pitcher Tyson Ross, Joe Ross is in a great situation in Washington. At 22, he seems unlikely to be bumped from the rotation when Lucas Giolito is ready – that is likely going to be Tanner Roark, who pitched out of the bullpen most of the 2015 season. 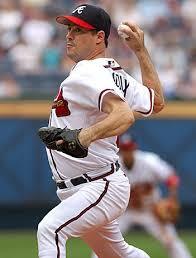 Ross did a really nice job in his 76.2 innings last year, posting an 8.1 K:9 and walking just 2.5 per nine. It is quite possible that he outperforms Gio Gonzalez in the Nationals’ rotation in 2016. Colin Rea, RHP, San Diego Padres: Rea had eye-popping numbers in Double-A last year (1.08 ERA, .185 BAA in 75 innings), which promptly elevated once promoted to El Paso (a hitter’s paradise). 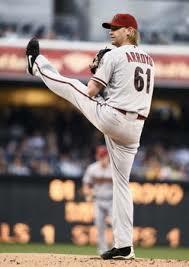 He held his own in his taste of the majors last season, posting a 4.26 ERA and holding opponents to a .246 average. Now, he’ll have an improved defense behind him, Rea, 25, is ready to take his fastball that can touch 95 to a pitcher’s paradise. Let’s hope he can do better than Ian Kennedy did last year. He is capable of Kennedy’s production – minus the strikeouts. 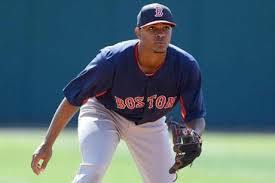 Iglesias was having a breakout campaign in Boston in 2013 before being traded to the Tigers and crashing down to a .259/.306/.348 triple-slash. Fortunately, he was still able to provide elite-level defense, something that the Tigers didn’t have with Jhonny Peralta manning short. After missing all of 2014 with a stress fracture in his lower leg, the Tigers are hoping for a return to form, but you have to wonder if they’ll be satisfied with the offensive production they received from him in late-2013, or if they’re expecting him to be closer to the .330/.376/.409 that he had with Boston,Â and if he is capable of defensive wizardry after the leg injury. Still, he doesn’t have the pressure on him to be an elite offensive producer with the lineup around him, so expect some value out of him. 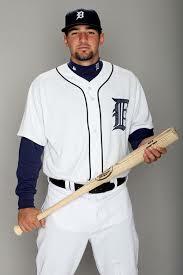 What is the ceiling of Castellanos? It may just seem like Castellanos has been around forever, but he only has 597 career plate appearances and enters the 2015 season at the age of just 23. At a lanky 6’4″, 210 pounds, the young third baseman will continue to demonstrate a long swing, which will continue to lead to strikeouts, but he has the protection in the order, just like Iglesias, to not be expected to carry the burden of production. Castellanos will never have a .300/.400/.500 season due to his inability to take a pitch, but, if that changes a little and he begins seeing more fastballs, you’ll quickly see an increase in the number of home runs that he can produce. Expect some of those 31 doubles from 2014 to start flying out, as he increases his long-ball total closer to 24 in 2015. He’ll be a top 10 third baseman by the end of the season. Offseason Overview: Detroit lost their ace, Max Scherzer, to the Washington Nationals via free agency, and complicated their rotation further by dealing Rick Porcello in a deal for OF Yoenis Cespedes. While Cespedes provides ample power for an already potent lineup, the starting rotation took quite a hit, as the club is now without both Scherzer and Porcello, while Doug Fister and Drew Smyly were dealt within the last 15 months. Sure, they added LHP David Price at the deadline last year, but RHP Alfredo Simon (acquired from Cincinnati) and RHP Shane Greene (acquired from the Yankees) have joined Price, RHP Anibal Sanchez, and former superstar-turned-Instagram-hero Justin Verlander in the rotation. 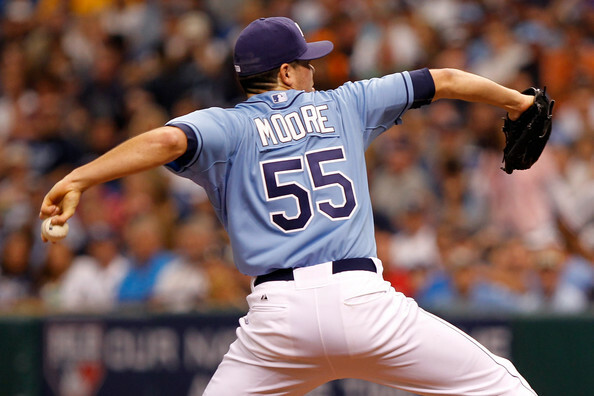 In addition to the suddenly impotent (in comparison to one year ago) rotation, the bullpen continues to be an issue. The defense could be a little better, especially with a healthy Iglesias and OF Anthony Gose, a speedy outfielder acquired from Toronto, in the mix, but this isn’t the same group who has won the AL Central the last four seasons. The Verdict: Detroit continues to reshape their roster into an offensive juggernaut, but rather than having a rotation to match, the Tigers have set themselves up to be quite vulnerable in a very competitive AL Central. The projected 82-80 PECOTA record seems quite conservative for Detroit, and, while they’ll likely finish with at least 85 wins, it likely won’t be enough to win the division. The Tigers don’t have the depth in their minor league system to endure injuries, and they have another year on the arm of Verlander and the body of Cabrera. Even with the tremendous offense, this could be the season that Detroit can’t overcome their consistent lack of depth. After his start on June 6, 2012, Max Scherzer was 5-4 with a 5.88 ERA, 1.59 WHIP, and was allowing an OPS of .861 to opposing batters over the first 64.1 innings of the 2012 season, while posting an 80:24 K:BB (3.33) . Since that point, Scherzer has gone 32-6 with a 2.80 ERA, 1.02 WHIP, while allowing a triple-slash of .207/.267/.339 (.606 OPS) over 337.2 innings, posting a 391:92 K:BB (4.25). 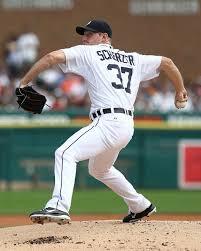 He won the 2013 American League Cy Young award with some incredible numbers, but heading into 2014, Scherzer will be in the last year of team-control for the Detroit Tigers, arbitration-eligible for the final time after earning $6.725 million in 2013, and he is estimated to earn roughly $14 million. Certainly, Scherzer will be in line for a huge raise, especially with all of the insane numbers that he has posted while taking the reigns as the Tigers’ best pitcher from Justin Verlander. However, after posting the numbers that he has, would it be best to deal Scherzer right now, when he is viewed as one of the elite pitchers in all of baseball? There are several reasons why such a deal would make sense for Detroit. Scherzer has posted his incredible numbers over the last year and a half, but what was he doing before that? The first three-plus seasons of his career, Scherzer logged 617 innings and had a 3.92 ERA and a 1.31 WHIP, and while he posted an 8.7 K/9, his inconsistency was baffling for someone with such tremendous stuff. To be fair, it doesn’t always happen right away. 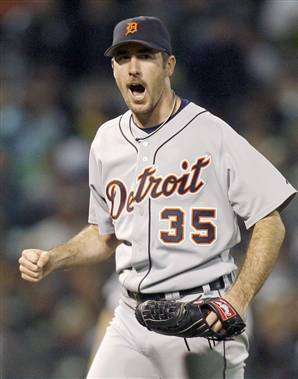 Justin Verlander, in all of his greatness, had a 4.11 ERA and 1.33 WHIP over his first 600 innings, posting a 7.2 K/9 before being selected for the All-Star game every year since 2009 and winning a Cy Young and an MVP award; however, Verlander’s breakout came in his age-26 season, not the middle of his age-27 and all of his age-28 season. Now, at 29, will he continue his success? In 2013, according to Pitch F/X, Scherzer introduced a curveball, which he threw about 6.5 percent of the time, while increasing the use of his changeup to 20.1 percent (up from the 17.5 percent that he threw it in 2012, though he did use it more earlier in his career). Once the league picks up on how he uses those pitches, will they make adjustments? Additionally, Scherzer has dealt with seven cases of shoulder fatigue or stiffness dating back to his days pitching at Missouri, with fatigue setting in as recently as October of 2012. Even winning a Cy Young in 2013, Scherzer only reached 214.1 innings, his first season eclipsing the 200 inning threshold in five full seasons, so were there concerns from the Diamondbacks and Tigers as to how his workload would impact his previous shoulder issues? After all, the horses and ace-like pitchers in the league, like Verlander, typically reach between 220 and 250 innings in a season, as Adam Wainwright (241.2) and Clayton Kershaw (236) proved in 2013. After huge progress over the last 18 months, has Scherzer proven anything or does he need to maintain his 2013 success an additional season prior to worthily achieving the ace label? The big issue appears to be the raise that Scherzer could earn through arbitration and he only has one year remaining of team control. Should the Tigers cash him in or trade another starting pitching option and ride out Scherzer for one more year? 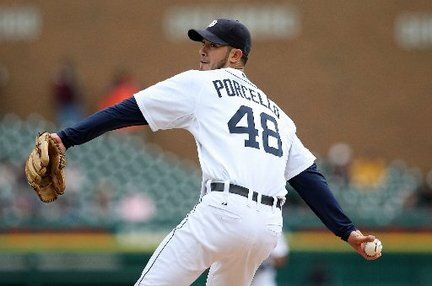 Detroit has a luxury right now, possessing five outstanding starting pitchers in Scherzer, Verlander, Doug Fister, Anibal Sanchez, and Rick Porcello. Verlander’s huge contract and “down year”, if you can call it that, don’t really make him as expendable as Scherzer. Sanchez proved his worth in the first year of his free agent deal, and he appears to be someone that the club will build around as their No.2 starter – behind Verlander. 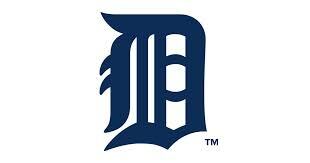 This would leave the Tigers to deal from Fister or Porcello to clear salary to afford Scherzer and acquire prospects. 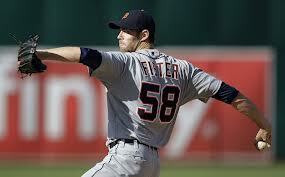 Fister will be due around $7 million in his second year of arbitration after earning $4 million in 2013. 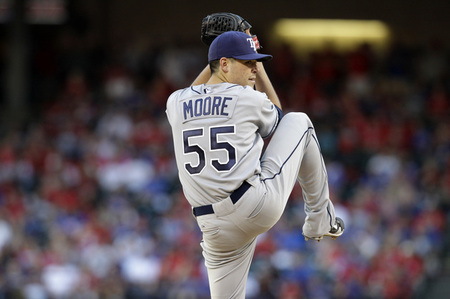 He has been a tremendous addition to the Tigers staff since being acquired in 2011 from the Seattle Mariners, going 32-20 with a 3.29 ERA and 1.19 WHIP over 440.2 innings over 70 appearances (68 starts). He turns 30 years old in February but after seeing what James Shields was worth with two years of team-control last season, when he was entering his age-31 season, why wouldn’t the Tigers look to deal him? While Fister doesn’t have the strikeout numbers that Shields’ produced, he would make for a fine No.2 starter on another club. And what about Porcello? It hasn’t always been pretty for the young right-hander, who has five full seasons under his belt and will still be just 25 on Opening Day. His career 4.51 ERA and 1.39 WHIP appear hideous, but there are a few bright spots. The 2013 season was a huge leap forward for Porcello, as he posted a career best WHIP (1.28), strikeouts per nine (7.2), and strikeout to walk ratio (3.38), while getting a career-best groundball rate (55.3 percent) as he dramatically increased the use of his curveball, used his changeup at the highest rate of his career, and went away from his slider in 2013. Not to mention, his 4.32 ERA came along with a 3.19 xFIP, so what would he do without Miguel Cabrera and Jhonny Peralta on the left side of his defense? Due to the major league contract that he received after being drafted in 2007, he was rushed to Detroit, logging just 125 minor league innings before his major league debut in 2009, but that early debut also makes him expensive through arbitration. Porcello, like Fister, has two years of team control remaining, but after earning $5.1 million in 2013, he could earn around $8 million in 2014, without the success that Fister has shown in his service time. Porcello had ace potential when he was selected out of a New Jersey high school over six years ago, but he hasn’t truly tapped that level and may never reach that level, but the slight increase in his stats in 2013 show that there is still potential in his arm. One name has seems to make the Tigers capable of dealing a starting pitcher this weekend: Drew Smyly. Smyly lost his starting job in 2012 when the team acquired Anibal Sanchez from the Marlins while he was on the disabled list for a right intercostal strain, which came shortly after he was on the disabled list due to a blister on his middle finger of his left (pitching) hand. Smyly has allowed a .235/.291/.385 triple-slash (.676 OPS) since arriving in Detroit, he has a 1.17 WHIP (ranking in the top 30 in MLB since the start of the 2012 season), his 24.3 percent strikeout rate is 10th among all pitchers with at least 150 innings pitched since the start of the 2012 season, and his 3.50 K:BB rate is also within the top 30 since the start of the 2012 season. You can see in the blurred photo above that FanGraphs and Pitch F/X seemed to have a difference on the pitches that Smyly was using in 2013, but he does have more than two pitches, regardless of whether he was using a fastball, two-seamer, cutter, and one or more different breaking balls. He was pretty effective for most of the 2012 season as a starter, as well, posting similar numbers (3.79 ERA and 1.21 WHIP) to what Scherzer did in 2012 for Detroit (3.74 ERA and 1.27 WHIP). Smyly may not replace the dominance that Scherzer showed in 2013, but the Tigers will likely have more effective seasons out of the remaining three starters if they were to deal their Cy Young winner this winter. After all, if Justin Verlander returns to form in 2014, we could see much more of the September Verlander (2.27 ERA, 1.11 WHIP, 10.89 K/9) than what we saw over most of the 2013 season. By dealing Scherzer, the Tigers could acquire several young pieces to build around. They do have Nick Castellanos ready to take over in the outfield in 2014, but their farm system is likely in the bottom half of Major League Baseball, with only Jonathan Crawford, a 2013 1st round pick, as impact prospects within their current system, as the remainder of the group looks more likely to fill utility roles or back-end starters or relief pitchers. Dealing Scherzer for young talent would allow the Tigers to stockpile their system with more impact prospects. With Torii Hunter, Prince Fielder, Miguel Cabrera, and Victor Martinez all getting up there in age, the Tigers need to prepare themselves with much better athletes, arms, and bats as those aging veterans begin to regress. With the free agent market likely to see absurd amounts of money thrown around due to the new television contract revenue, the Detroit Tigers need to determine if paying Max Scherzer $20 million or more per season on a nine-figure contract is more valuable than the near-ready prospects that they can receive for him now, or, worse yet, the lone compensatory pick that they would receive if he received that mega-contract from another team after the 2014 season. The Tigers need to trade Scherzer while his value is at its peak – after winning a Cy Young. The deal that the Toronto Blue Jays provided to the New York Mets – Noah Syndergaard, Travis d’Arnaud, and a couple of other spare parts – would be a tremendous starting point for Tigers’ GM Dave Dombrowski.